On December 4, 2018, Norway's Ministry of Climate and Environment announced the donation of US$ 70 million to Brazil for reduction of emissions from deforestation in the Amazon area achieved in the forest year 2017 (August 2016-July 2017), which is in line with climate and forest cooperation between the two countries. Over the period of collaboration, Brazil has saved the atmosphere from emissions of more than 4.5 billion tons of CO2. "After two years of increasing deforestation, Brazil's efforts in 2017 were encouraging: Deforestation dropped by 12 percent compared to the year before," Norwegian Minister of Climate and Environment Ola Elvestuen was quoted as saying. Last year, the Norwegian government donated US$ 41.8 million to the "Amazon Fund". At the time, Brazil showed a 12 percent reduction in deforestation rates in the Amazon compared to 2016. 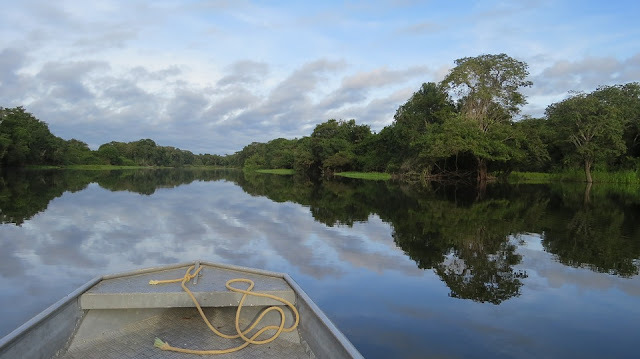 The Amazon Fund is a joint project (backed by Brazil and Germany) created in 2018 to raise donations for non-reimbursable investments in efforts to prevent, monitor and combat deforestation in Brazilian Amazon (a size of 1 million square km i.e., 247 million acres). It is based upon REDD+ (Reducing Emissions from Deforestation and Degradation +) mechanism. Earlier in 2016, Norway cut funding for the Amazon Fund to US$ 35 million when deforestation last rose. For this year’s donation, Brazil's National Institute for Space Research (INPE) presented 2018 deforestation figures at 7,900 square kilometers, which corresponds to a nearly 13.7 percent increase in the deforested area (from 2017 to 2018) — reported until July this year and made known last month — was not taken into consideration. However, the Norwegian statement said; "These figures will only be verified next year, but the preliminary estimate of increased deforestation gives reasons to concern both in Brazil and in Norway".